Lipid Signaling, Lipidomics, and Vasculotoxicity Laboratory, Department of Medicine, Dorothy M. Davis Heart and Lung Research Institute, College of Medicine, The Ohio State University, Columbus, OH, USA. This special issue focuses on the origin and nature of microvesicles and their vascular targets modulating the functions of the blood vessels through different cellular, biochemical, biophysical, and molecular mechanisms at different cellular levels (endothelial and smooth muscle cells and fibroblasts). This will be addressed in the normal biological function and pathophysiological states of the blood vessels and geared towards clinical and translational medicine and health. We will invite authors across the world who specialize in vascular biology and microvesicles/lipid vesicles/liposomes/microparticles. 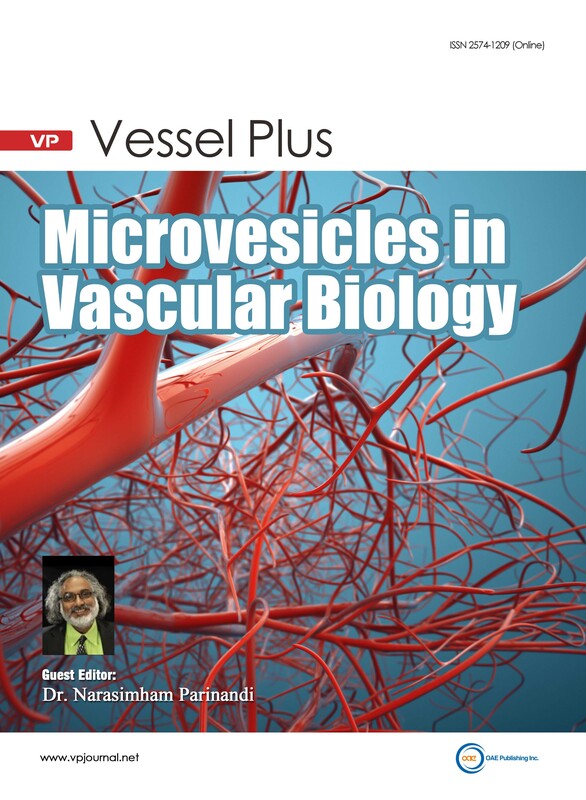 This special issue on “Microvesicles in Vascular Biology” will include Original Articles, Reviews, Opinions and Commentaries, etc. All submissions will undergo rigorous peer review and will be published free of charge upon acceptance.